Find hotel near Springwater Conservation .. While walking through the camp ground amidst dense forest you will suddenly get to see a beautiful lake which seems just out of any scenery. This is what makes the area so attractive and worth appreciating. A hike through the woods or fishing in the pond is an interactive way of a day out with your family. You can walk for miles together and at each spot you will be able to see different scenery all together. Cycling is another good option which can be exercised in the trails. To enjoy the quaintness and serenity go ahead camping in the woods. 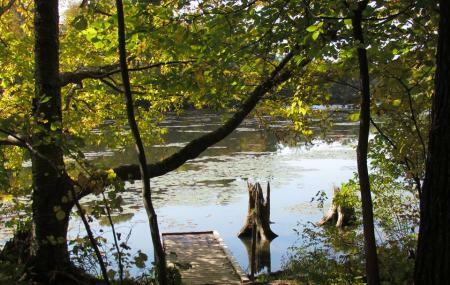 Explore Springwater Conservation Area and other prime spots of the city using Aylmer trip planner. Add comfortable hotels to your plan, choose from the recommended hotels in Aylmer like Glenhaven Motel and Comfort Inn St. Thomas. Find out how to reach Aylmer to begin with. Plenty of wholesome Aylmer vacation packages are available to choose from, pick your today! Love this? Explore the entire list of places to visit in Aylmer before you plan your trip. Fancy a good night's sleep after a tiring day? Check out where to stay in Aylmer and book an accommodation of your choice. Just walked around looking at sites for a couple of weekends this summer. Nice sites lots of trees. A trip back memory lane. Watched syrup being made and had an awesome day.